I'm 43 years old woman with over 26 years experience. I live in a four bedroom house with my husband and 3 children who have been DBS and Ofsted registered. My setting opens from 7am till 7pm. I have 3 fully equipped rooms in my house with fun and educational toys and a stocked garden to offer a wide selection of fun activities, toys and crafts, so that children can develop and learn safely and happily through play. i am committed to provide parents with exceptional childcare in a safe, comfortable and enjoyable setting, where children are tenderly & respectfully nurtured into settled, happy, and confident little people. To enhance my years of experience with children I regularly attended various training offered by the Barnet Children Services and Pacey (Professional Association for Childcare and Early Years) which I am Member. 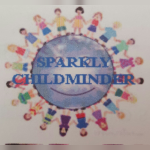 I'm a regular attendee at the local childminder group and a member of a Willows Activity Farm and Whipsnade Zoo where I take the children on weekly basis depending on the weather. I also take the children to parks and play areas where I actively play with them and encourage them to have as many social experiences as possible as well as try different activities, always under my supervision and guidance. I organise trips such as to the shopping centre and Bus ride. No ne at the moment. Below are the latest reviews for SPARKLY. Please note that reviews represent the subjective opinions of other Childcare.co.uk users and not of Childcare.co.uk. Parents must carry out their own checks and references on childcare providers to ensure that they are completely happy before enaging in the use of their services. My 2year old daughter has been attending “sparkleys” for the past 7 months! It is an amazing setting for the children so many fun and educational things to do. They also attend parks, farms and indoor play groups. My daughter absolutely loves going here as she is always telling me what her and her friends have been up to. I can keep track of what my daughter is doing through out the day which I love. Claudia bell & cynthia take care of my child as their own, they truly care. I feel so comfortable leaving my daughter in their hands. Couldn’t ask for better minders. My daughter became become fully potty trained with in 2 weeks of attending, and her personality really shined through as soon as she attended. My daughter is a very big fan of their cooking class and has become so interested in helping me cooking at home. Thank you ladies for all the amazing work you have done for my daughter and myself. Highly recommend! Very happy with these girls they are truly care about your child. You can see child’s development very quickly. They involve new activities often. Also, food - excellent, very well balanced! We are so lucky to have Claudia, Bell and Cynthia to look after our baby girl. My child is attending Claudia's place since Sept 2017. We couldn't be happier with her development since then. She has a good daily routine, she has fun at Zoo, Farm or Park. A very good and healthy fresh cooked lunch and snak. She feels secure in Claudia's home and she can't stop talking after we pick her up about what she did in that day, how she been in the park and had a picnick or how she been at the Farm or playgroup. I choose Claudia because I believe that my daughter needs security, excelent care and nurture. My daughter is just blooming. I know, big words, true words about a place where my baby is happy to go and I can be at pace with myself. Thank you N. for your kind words. The pleasure to assist you on your child's development is all OURS. My two children have been going to Claudia for the last half a year and I couldn’t be happier. But more importantly my children are very happy. Claudia has a warm and loving environment and both of my children are thriving in her care. it has been a pleasure to look after your children and it gives me a great satisfaction knowing that OUR (yours and mine) efforts are showing great results.